Gratitude… one spell that isn’t seen in many books. Thanksgiving is one of the most humbling and best ways to dive deep into spiritual workings. UUPS always makes it a point to honor (there are lots of honoring spells) and give thanks to deities whose days pass throughout the year. President Muad’Dib lead the ceremony. This time it was Columbia, the goddess of America. A few faithful UUPS members met by moon light under a pine tree on Saturday, July 2, 2011 and gave an offering of traditional American food: hot dogs and tater-tots with milk. 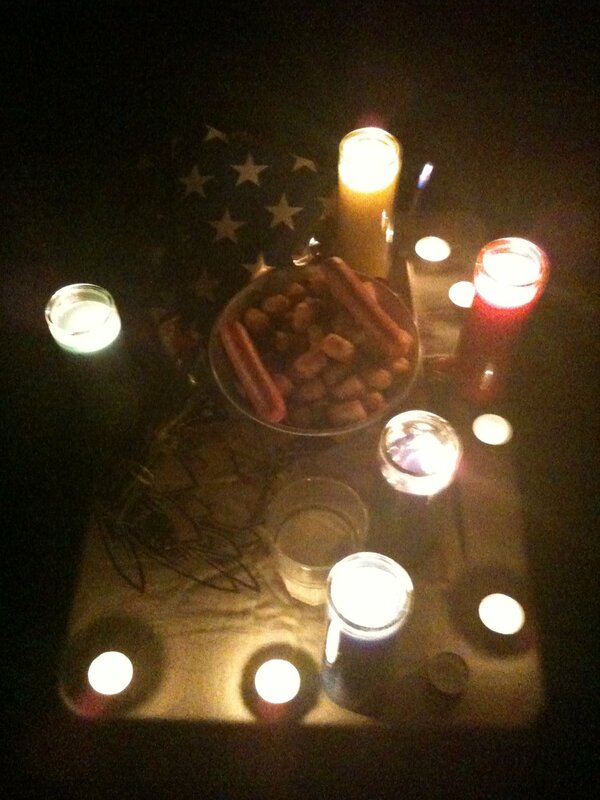 On the altar were quarter candles and patriotic themed flowers for the Goddess. Everyone felt humbled and thankful afterward as the presence of Columbia descended and accepted these offerings.